Pressure is everywhere around us. It’s at the office when a crisis arises, it’s at home in everyday situations and it’s all over the larger sphere of our life — from the presidential elections to those final seconds of every March Madness basketball game. And as you already know, there’s no way to avoid pressure — it sometimes sneaks up when we least expect it. It could be as simple as finding out your child is flunking a course, as complicated as a crisis at work which can affect your job security, or as devastating as a major health problem. When a high pressure situation arises, the heroes and the successful people are set apart by how they handle it. This is why we still admire leaders like Winston Churchill! Sure, it can be everyone’s first instinct to panic, fume or have a deer-in-headlights reaction. 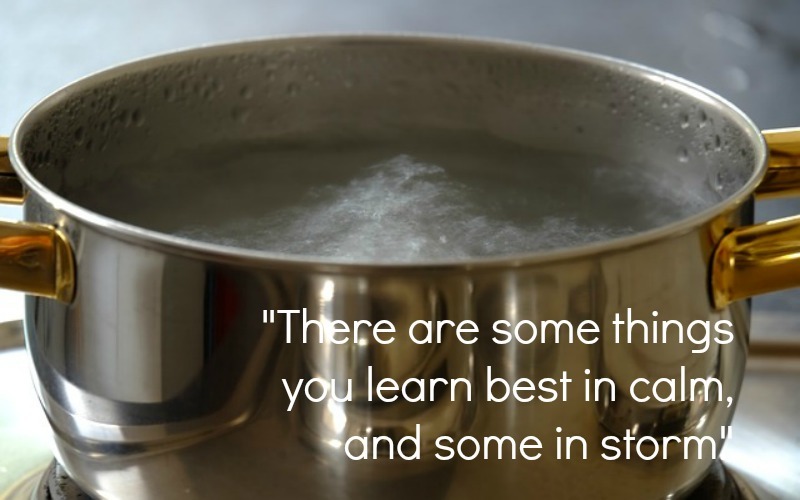 But did you know remaining calm under pressure is a skill you can learn? By tackling problems with grace — especially those pressure-laden and unexpected problems — you’ll be much closer to being that successful person who people admire, respect and want to emulate. So How Do You Achieve Grace under Pressure? Our brains are hard-wired to react to a perceived threat. Our brains fire neurons and secrete hormones to prepare our bodies to react. Since running away or releasing a torrent of angry words doesn’t serve us well in our normal daily interactions, realizing this is “natural” is the first step toward controlling the impulse. Knowing that the impulse to freeze, run or fight is trying to bypass your rational thought processes takes away some of its power to make us do something irrational. Just as knowing fight or flight impulses are normal, recognizing that a racing heartbeat, muscle tension, headache, upset stomach and shallow breathing are also “normal” reactions can reduce their impact. You may experience emotional or psychological symptoms such as fear, anxiety, frustration, anger, sadness, poor concentration or depression too. Recognize the physical sensations and take steps to calm them — deep, slow breathing is a good place to start. Remind yourself that the threat isn’t life threatening (unless of course it is). By identifying the emotions you’re feeling when presented with a high pressure situation — fear, anxiety, frustration, anger, sadness, alarm, worry — you can begin to demystify them. Stop and think about what you are truly feeling, even write it down if that helps. We already know we’re hard-wired to feel fight or flight impulses, but did you know you can harness their power to create a positive outcome? Sometimes the hormones and neurons firing away can sharpen our mental acuity and enable us to take decisive action. Some call this “emotional judo,” where we funnel our fight or flight energy to help us rather than harm us. Relabel your negative emotions and call them something positive instead. For example, change “fear” to “motivation to take action” and “frustration” to “desire to problem solve.” Turning them into positive emotions creates the “fuel” you need to make decisions, solve problems and recognize opportunities. If you can master your fight or flight response, you’ll gain energy to achieve your goals. Demonstrate to others how you exhibit grace under pressure — and find solutions to problems and turn crises into opportunities. Others will look to you for guidance and leadership. And you’ll be well on your way to becoming the winner you were meant to be! Learning how to remain calm in stressful situations is possible, but isn’t always easy. In my 9-step strategy to winning I call WINology, you’ll learn how to think positively all of the time and take decisive action when opportunities arise. You’ll learn how to master your craft and build strategic relationships to achieve your goals. Ready to get started? Great! 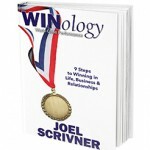 Start by checking out my book, WINology – World Class Performance. I promise, you will learn what it takes achieve success in all aspects of your life — professional and personal. Are You a Team or Department Leader? Interested in helping your team or department achieve more? You can also schedule Joel to speak at your next event or conduct onsite workshops. Learn more about Joel’s speaking and training services. Have you experienced a fight or flight response that enabled you to make a positive change? Let us know in the comments section below! Learn how to remain calm under pressure by understanding our fight or flight response to perceived threats. Harness its energy and create positive outcomes. Killer Instincts: Do You Have What It Takes to Fight to the Finish? I’ve suffered from anxiety my whole life. Fight or flight moments can really paralyze you. I find that by deep breathing and taking a moment to step back from the situation I can usually regain control. Becoming aware of my moments of panic and anxiety have made me a lot stronger because, what I would have otherwise walked away from, I now have the courage to confront them. I’ll definitely be checking out your book on the subject. I’m usually pretty level-headed but I do struggle with dealing with other people’s anxiety. We definitely have fight or flight responses for a reason — to protect us in times when we feel threatened, or our loved ones are. I find, in myself, it is trying to keep those reactions in the “normal” territory. It’s easy to let it spiral out of control until other think you are being “unreasonable”. I have definitely always wanted to be one of those cool guys who always have a solution for everything. Unfortunately I get frazzled pretty easy. Taking a few minutes to be by myself usually helps.